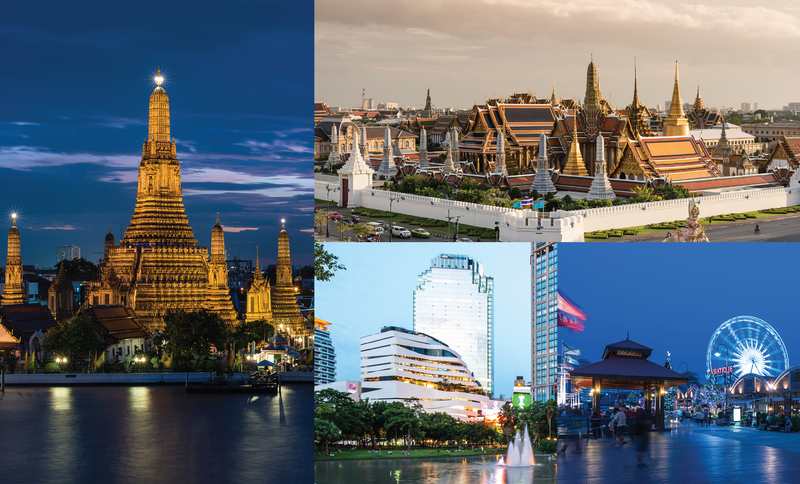 At Chatrium Residence Sathon Bangkok, we have a host of tours for you to visit amazing places in Bangkok which are truly the exotic and exciting destinations with so much to see and do. Chatrium Residence Sathon Bangkok, therefore, is really the perfect place to stay with its own dedicated Tour Counter, so you can make the most of your time in one of the world’s great capital cities. Well at Chatrium Residence Sathon Bangkok the decision is made all that easier as besides offering class-leading levels of amenities, comfort, facilities and service the residences also provide the sheer convenience of a professional Tour Counter. There are so many choices for you to choose from but one of the most popular among Chatrium Residence Sathon Bangkok’s guests is the 3-stop tour to the Flower Market, Grand Palace and Wat Pho. First it’s off to the Flower Market, the largest of its kind in Bangkok and amazingly open 24 hours a day selling all manner of blooms from the 4 corners of the kingdom, with many florists visiting in the early morning to stock up for the day. Then it’s on to the Grand Palace, a series of some of the most stunning examples of Thai architecture which has been the official residences of the Kings of Siam, later Thailand, since 1782. Your enjoyable day ends at Wat Pho on Rattanakosin Island, home to the renowned Reclining Buddha, a 46-meter long image of the Lord Buddha himself. After all that sightseeing it’s a certainty you’ve worked up an appetite so another of Chatrium Residence Sathon Bangkok’s tours is highly recommended where you’ll travel in unique Thai style in your very own tuk tuk for an evening trip around the city, where you’ll have the chance to stop off at a market and buy some of the freshest, tastiest street food on earth before visiting places such as the sights and sounds of the famous backpacker haven on Khao San Road. No matter which terrific tour you choose from the wide selection on offer at the Tour Counter in Chatrium Residence Sathon Bangkok you’re sure to enjoy your time in Bangkok to its fullest.